Bruce is an associate broker for Keller Williams Realty, Inc., and an essential part of the Wasz Dukes Real Estate Team. 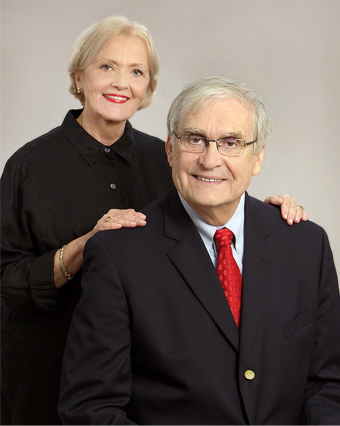 He has been representing buyers and sellers of residential real estate in Northern Virginia for more than 40 years. During his award-winning career, he has been named a Platinum Club Member receiving a Platinum Award with the fourth and highest level of award-winning performance. He holds a BS in Foreign Service and Economics from Georgetown University. As a REALTOR®, he holds a number of advanced certifications including the Accredited Buyer Representative® (ABR), Certified Residential Specialist (CRS), Certified Distressed Property Expert® (CDPE), Graduate REALTOR® Institute (GRI), Certified International Property Specialist (CIPS), Brokerage Licensing Program (BLP), Seniors Real Estate Specialist®, and Certified Buyers Agent® (CBA). Accredited Buyer Representative® – To earn this designation, the REALTOR®must complete two days of classroom instruction. The program gives agents advance instruction on representing the interests of real estate buyers and investors. Certified Distressed Property Expert® – REALTORS® with this certification gain expert knowledge on how to help homeowners with solutions to avoid foreclosure and how to conduct short sales. Certified Residential Specialist– To earn the CRS certification, the real estate agent must have a minimum of 15 years experience and 75 transactions, or an average of $1 million in sales per year and a minimum of 50 transactions. In addition, the candidate must successfully complete four courses and 15 elective credits. Graduate REALTOR® Institute – The Graduate Realtor Institute designation, conferred by the National Association of REALTORS®, is presented to REALTORS® who have completed a comprehensive education program in residential real estate. The program’s focus is on practical real estate training. Broker Licensing Program – For this designation the applicant must hold an active real estate license for 36 of the past 48 months, and complete 180 classroom hours dedicated to brokerage, appraisal, law and finance. The candidate must obtain a passing grade on each examination (4 in all) before sitting for the actual Broker’s Licensing Exam.